We invest in causes we care about, and education is our top priority. 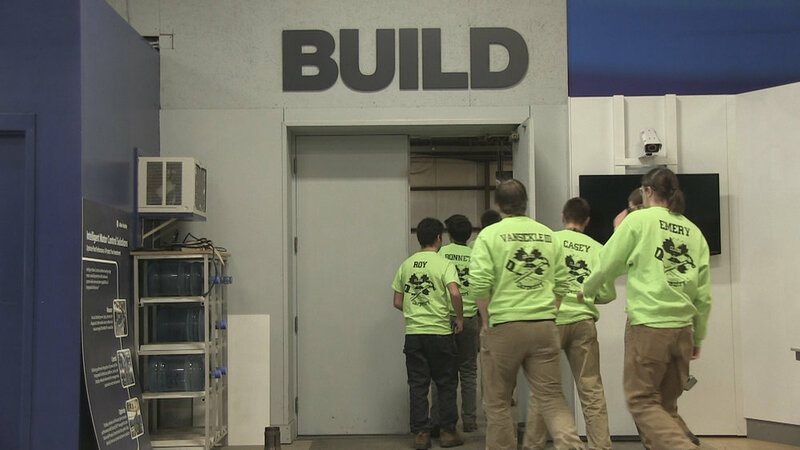 Through our outreach efforts, we are working to promote the design and carpentry disciplines. We believe that they are not only vital to our business, but to society as a whole. Outreach is an area in which we welcome collaboration, and we encourage you to connect with us to explore opportunities to work together toward a shared cause or higher good! “The Studio,” as it is known, is a classroom in a local K-8 school that we transformed into a design-build working environment modeled on RGI. Working with school administration and teachers, we developed a Studio curriculum that is aligned with Ohio learning standards, the goal of which is to enrich classroom content through design-build projects. 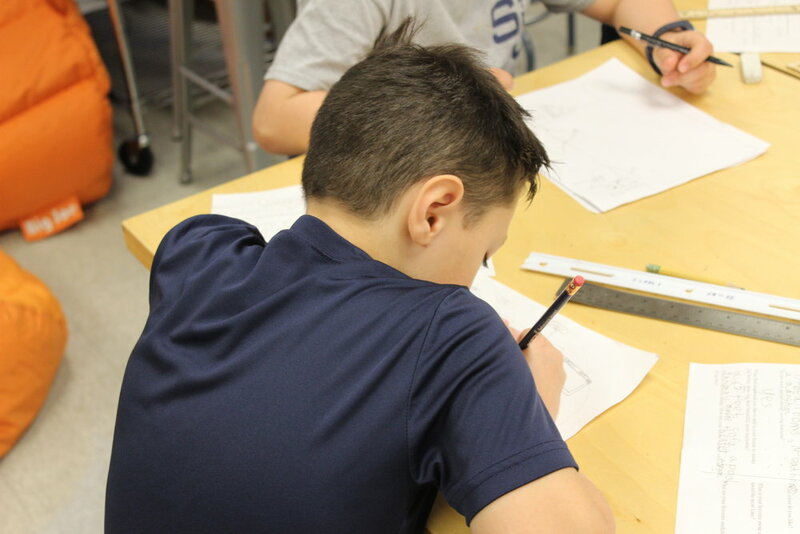 The Studio develops rigorous creativity and valuable supporting skills in students, including creative problem-solving, collaboration, design, prototyping, engineering, presentation and persuasive speaking. We employ a Studio Coordinator to plan and facilitate projects with creative direction from RGI and the guidance of an advisory team of experts well-respected in the field of education. Our purpose with the Studio is to transform educational experiences, prepare students with practical creative skills that will serve them in their school years and beyond, and inspire them to employ their creativity to make a positive impact in the world. Lorain County JVS is making a tremendously positive impact on students’ lives, by preparing them with practical schools for a rapidly changing world. We support the Lorain County JVS Carpentry program by creating opportunities for students to shadow and apprentice with our journeymen carpenters and designers. Mentoring students in an applied learning environment. In 2017 and 2018, RGI Creative supported the Lorain County JVS Carpentry program by working together to build new structures for the Elyria Safety Town program. In 2017, RGI carpenters worked with students to build a police station; and in 2018, a firehouse. Through this process, students make multiple visits to RGI to shadow carpenters and also spend hands-on time building the Safety Town structures. In 2014 and 2018, we have employed Lorain County JVS students as carpentry interns. We are also sponsoring our current Lorain County JVS intern as an apprentice in the Carpenters’ Union. Savannah Engelman, a carpentry intern at RGI from Lorain County JVS who has shown a great work ethic throughout many projects this year. RGI shop builders who are members of the Ohio Carpenters Union, worked with The Indiana/Kentucky/Ohio Regional Council of Carpenters (IKORCC) and the Ronald McDonald House to bring the joy of build and design to kids in the Cleveland area. The day was beloved by both kids and volunteers alike, always reminding us the importance of helping out those around us. Children of all ages were welcome to join us to create their own toolbox, which proved to be an experience we won’t forget. Parents were able to work with their kids on the project with volunteers, including the carpenters, who showed them the task and how to build the toolboxes. Let’s bring together the future of design.